Users of the popular media player Roku receive a stark warning when they install channels outside of the official store. While these private or "non-certified" channels are still permitted, the company says that copyright-infringing channels may be pulled without prior notice. The news follows a few weeks after Roku was dragged into a piracy lawsuit in Mexico. Legal services such as Netflix and HBO are flourishing, but there’s also a darker side to this streaming epidemic. Millions of people are streaming from unauthorized sources, often paired with perfectly legal streaming platforms and devices. Hollywood insiders have dubbed this trend “Piracy 3.0” are actively working with stakeholders to address the threat. One of the companies rightsholders are working with is Roku, known for its easy-to-use media players. Earlier this year Roku was harshly confronted with this new piracy crackdown when a Mexican court ordered local retailers to take its media player off the shelves. While this legal battle isn’t over yet, it was clear to Roku that misuse of its platform wasn’t without consequences. While Roku never permitted any infringing content, it appears that the company has recently made some adjustments to better deal with the problem, or at least clarify its stance. Pirate content generally doesn’t show up in the official Roku Channel Store but is directly loaded onto the device through third-party “private” channels. A few weeks ago, Roku renamed these “private” channels to “non-certified” channels, while making it very clear that copyright infringement is not allowed. A “WARNING!” message that pops up during the installation of these third-party channels stresses that Roku has no control over the content. In addition, the company notes that these channels may be removed if it links to copyright infringing content. “By continuing, you acknowledge you are accessing a non-certified channel that may include content that is offensive or inappropriate for some audiences,” Roku’s warning reads. 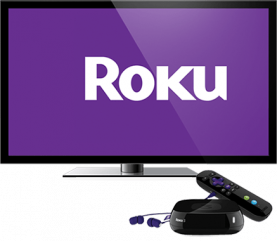 A Roku spokesperson informed TorrentFreak that the message is intended to caution its users not to blindly add channels outside the official store. The company explained to us that it is taking the piracy problem seriously. Together with various stakeholders, they are working hard to address any problems that arise. “We are actively cooperating with the content community and other rights holders in their efforts to combat piracy,” a company spokesperson informed TorrentFreak. “Roku has a portal for reporting copy right violations. Whenever Roku determines that a channel on our platform is violating copyrights, we take action, which can include disabling the entire channel without notice. Also, Roku reiterates that it may remove channels on its own accord if these violate the company’s terms and conditions. According to Cord Cutters News, several piracy channels have already been removed recently, which prompted some ‘pirate’ developers to consider leaving the platform. Roku is not the only platform dealing with the piracy epidemic, the popular media player software Kodi is in the same boat. Kodi has also taken an active anti-piracy stance but they’re not banning any add-ons. They believe it would be pointless due to the open source nature of their software.